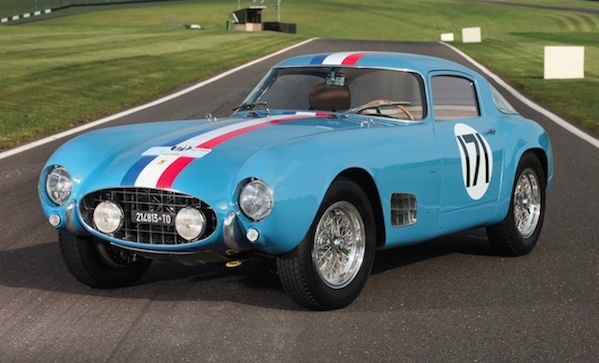 What’s so special about this particular 1956 Ferrari 250 GT, aside from the fact that it’s a friggin 250 GT? Well, this one, chassis number 0563, was the eighth of nine 250 GT Berlinetta Competiziones. It was raced in the ’56 Tour de France by Jacques Peron and Jacues Bertrammier, who finished eighth overall. In ’57, it won the Rallye des Forêts and the USA CUP at Montlhéry, then took second at the Rallye du Printemps, then took first in the Rallye de l’Allier. Then it went back to the Tour de France, where it finished fifth, right behind legend Sterling Moss. Expect to spend between 7.4 and 9.4 million dollars.